How do I change the character encoding for a webpage in Chrome? 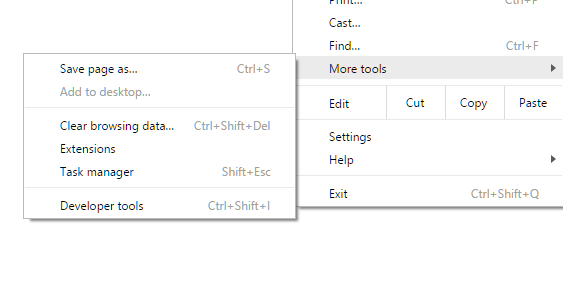 Google Chrome, like almost every web browser in recent memory, used to have an option to change the character encoding for the webpage being viewed by going to Menu › Tools › Encoding (or some similar location). This is extraordinarily useful in case the website misrepresents its encoding in its headers, or, failing to do so, Chrome mistakenly detects the encoding of the page. However, it seems as though in recent versions of Chrome, this option to manually override the character encoding is… missing. Either missing, or moved somewhere very obscure, because I cannot find it anywhere. I'm currently looking at a mojibake-filled webpage in what I presume should be Russian, which is entirely unreadable and unusable because Chrome is mistakenly rendering it with the wrong character encoding. How can I change the character encoding for a webpage in Google Chrome? Manual encoding selection is not necessary any more as the new encoding detector is turned on by default. Manual encoding switching may be able to be done by use of Chrome extensions. Not the answer you're looking for? Browse other questions tagged google-chrome browser encoding character-encoding or ask your own question. What exactly happens when you change the character encoding of a webpage? how to change character encoding in mac? Why do Chrome/Firefox fail choosing the right character encoding?